Look who’s back! Kell Brook!! 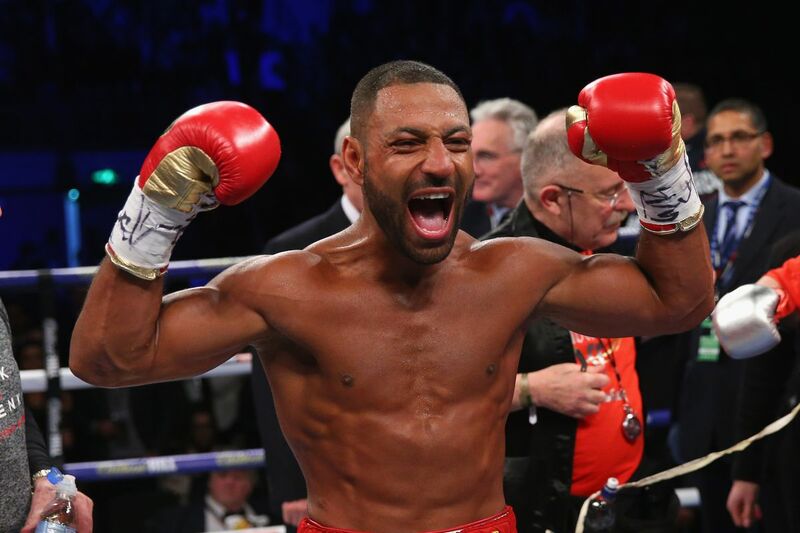 There were a lot of questions about Kell Brook as he returned in a new weight class following two straight losses, and there will be questions next time out, too, but today, Brook got back in the win column with a second round knockout of Sergey Rabchenko. Brook (37-2, 26 KO) landed a great uppercut and followed it up with a right hand shot to the temple, dropping Rabchenko (29-3, 22 KO), whose legs were shot and unable to beat the count. Again, there are still questions — how will Brook respond to real pressure, how will Brook respond to a tougher opponent, how will Brook respond to serious punishment in a longer fight? But this was a shining return for Brook in his hometown, and there’s no doubt he and his team are pleased with the results. The official time of stoppage was 1:27 of round two. With the win, Brook picked up a minor WBC title, and more important, gets a ranking at 154 pounds with the sanctioning body. “You thought you got rid of me. I’m putting everyone on notice. I’m ‘The Terminator,’ and I’m back now,” Brook said after the fight. “At 154 pounds, he’s a different kind of animal. There aren’t big names in the 154-pound division, well guess what? There is now,” promoter Eddie Hearn said. Hearn added that as Brook wants to be back in June, he’ll try to get him back in the ring in June. On the undercard, former world title challenger Gavin McDonnell handed top prospect Gamal Yafai his first professional loss, scoring a win by unanimous decision on scores of 116-112, 116-112, and 117-113 in a 12-round super bantamweight bout. The win gives McDonnell (19-1-2, 5 KO) a regional WBC title, and is a big step back toward another world title opportunity. McDonnell lost a majority decision about a year agao against Rey Vargas, where Vargas won the vacant WBC super bantamweight belt. It’s obviously a setback for Yafai, who drops to 14-1 (7 KO), but the 26-year-old lost to a legitimate contender and a good fighter, so now it’s about coming back from that.